Oh dear, this is so unexpected. We’d like to thank each and every one of those who made this possible, our cast and crew...erm, we mean team and users. Honest mistake, after all the Golden Kitty Awards is the Oscars of the tech world. Every year Product Hunt, one of the biggest platforms that hunts for innovations in software and hardware, holds a contest to define the best of the best. Product Hunt community gathers thousands of developers and tech-fans, and their vote means the world to a fresh product like Setapp. This time, 7 Ukrainian products were nominated, which we believe is a record for our country. 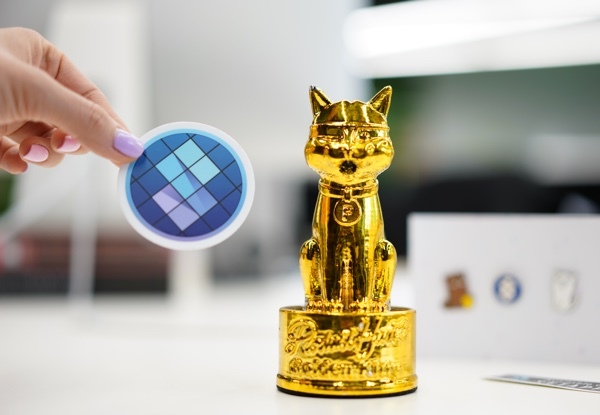 Three of them won in their categories: PatentBot, Petcube Bites and, as you guessed by now, Setapp. It’s a really big deal for us and we were blown away by the support we received during the vote. It’s great to know we’re doing something right and people like it, use it, and share our aspirations for a better software model. There’s no official awards ceremony (yet) but we’ll let our team lead take the Kitty home for a day to practice his acceptance speech in a tuxedo.